- Denise and Whitney are perusing their Red-Lining list. 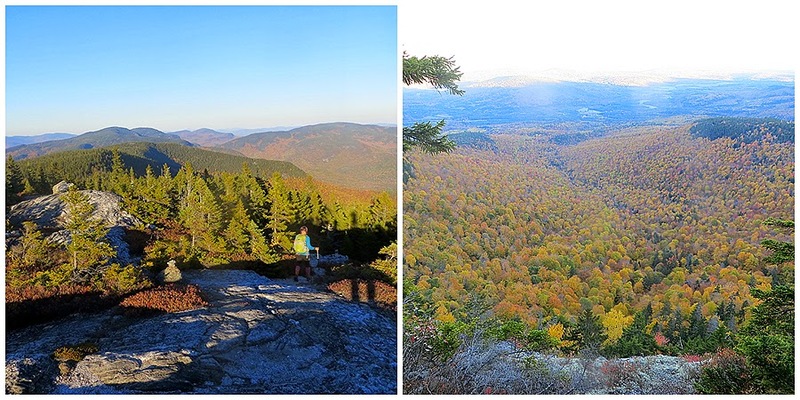 Red-Lining is where you hike every mile of trail that is listed in the White Mountain guide, around 1,400. I don't know how much of it I have completed, I highlight the trails I've hiked on my old paper maps and I'm guessing I'm somewhere around 40%. 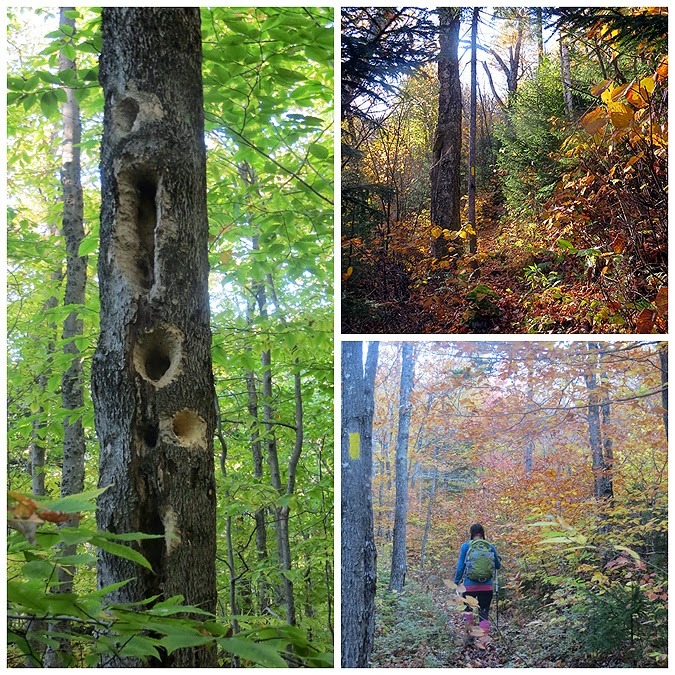 The neat thing about red-lining is you get to hike on some pretty cool off the beaten path trails. 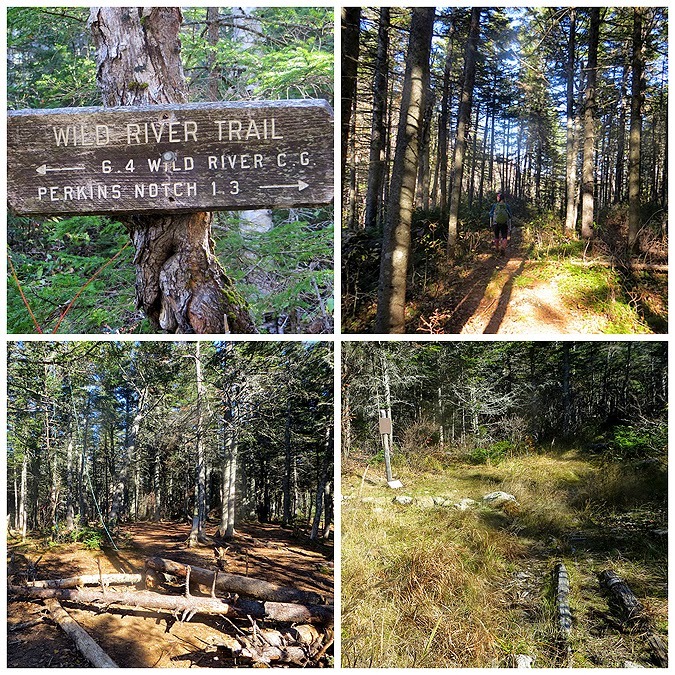 As of right now, I don't have too much interest in red-lining but I am always up for exploring new trails so I was more than happy to join in on marathon hike in the Wild River Wilderness. - Along with myself, Whitney and Denise, Heather and her lab/retriever/shepard mix, Kali accompanied us. 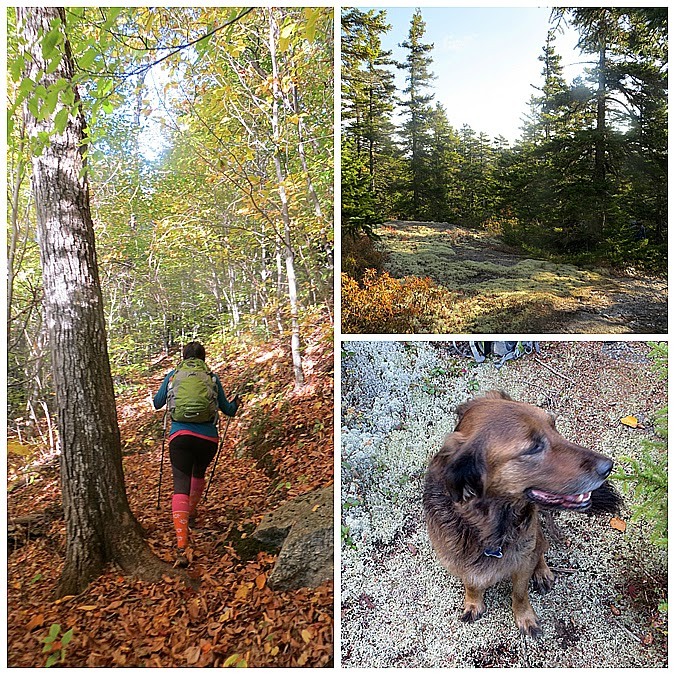 Heather, recently completed the Grid in August (hiking all 48 - 4,000 footers in each calendar month) Congrats to Heather, and Kali is close to completed her grid, too! 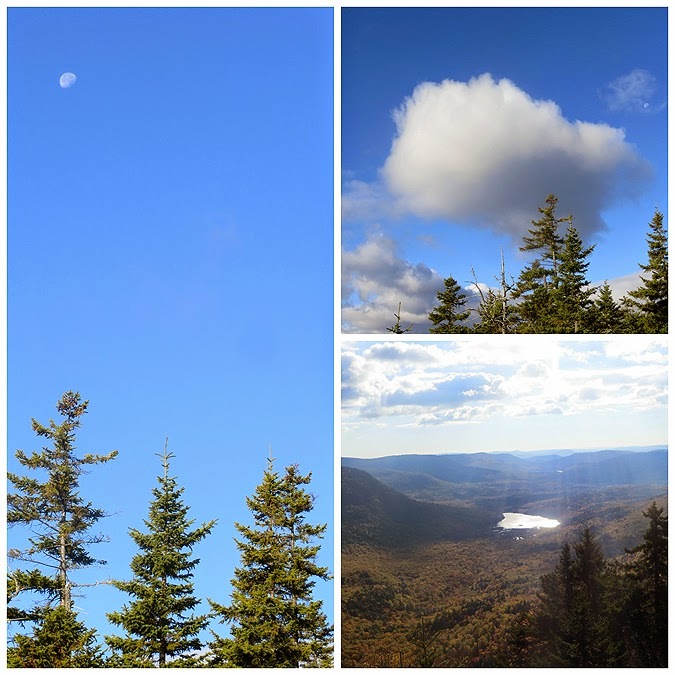 - This was to be an all day affair as we first hiked up to Mount Meader, it's only 2,780 feet high but it packs quite a punch for such a low elevation mountain. There's a grueling half mile switch back stretch followed by a steep burst before gaining the ridge. From here we dropped down the Basin Rim Trail and hooked onto the Black Angel Trail. 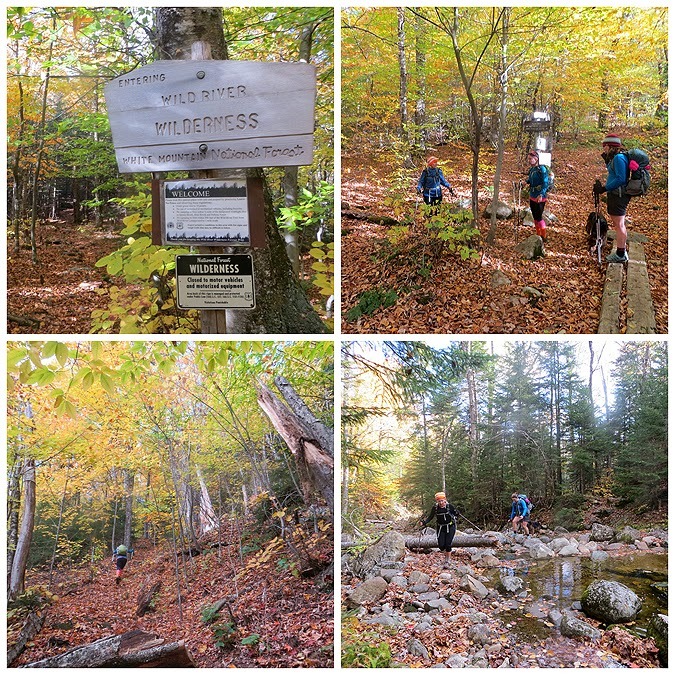 Virtually all of the Black Angel Trail lies within the Wild River Wilderness, it is lightly used and travels through some beautiful secluded Birch tree woods over old logging roads. 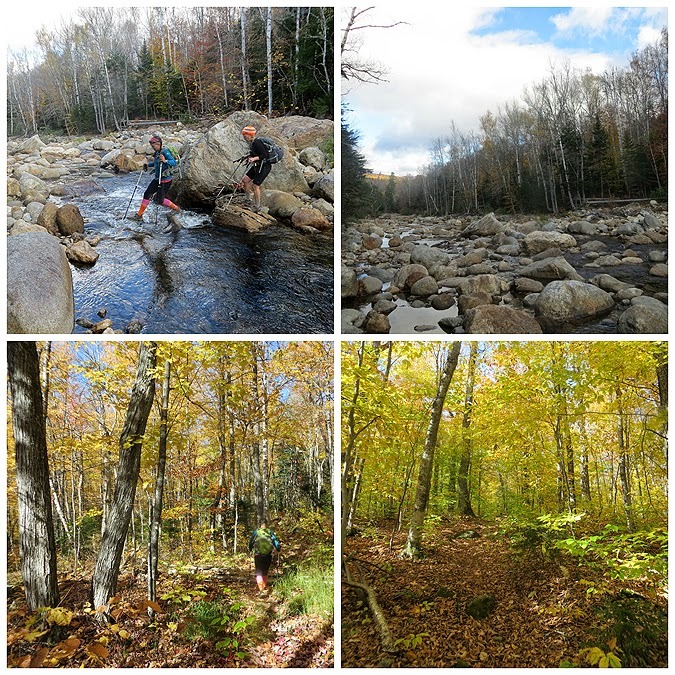 There are a couple of water crossings, one of which is pretty wide where the trail coincides with the Wild River Trail. 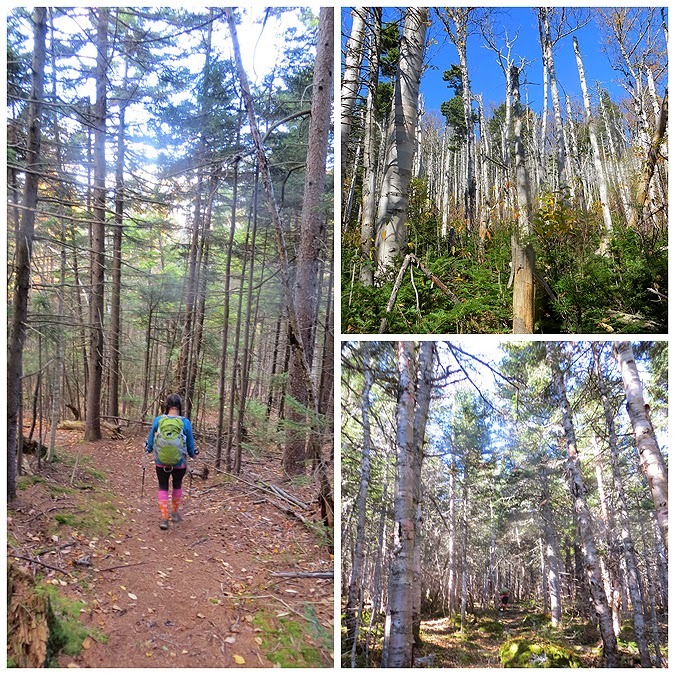 After the water crossing the trail easily ascends through more Birch woods for a few miles before the grade moderately increases in steepness as it enters scraggly pine woods before reaching the A.T. just south of Mount Hight a half mile north of Cart Dome's summit. 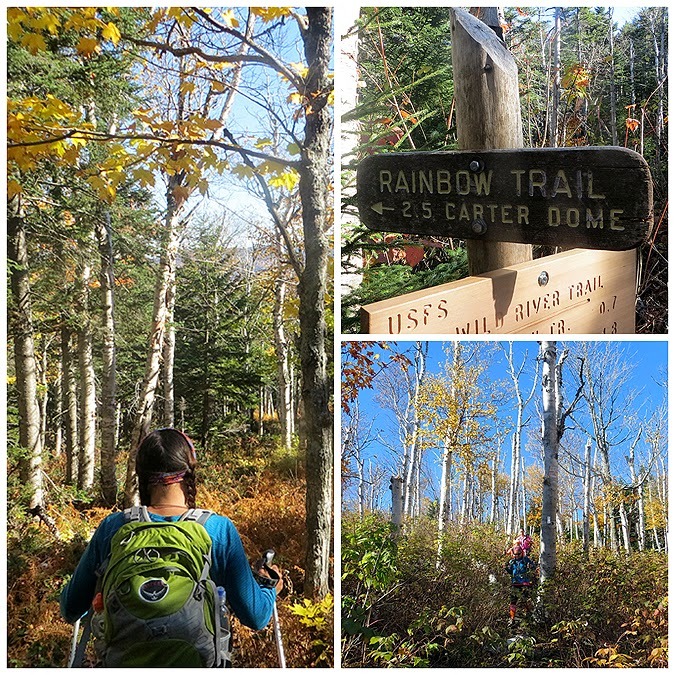 - We took a nice long break on Cater Dome before heading down the Rainbow Trail. The Rainbow Trail heads over the eastern shoulder of Carter Dome with a pretty cool open view from a small alpine meadow. 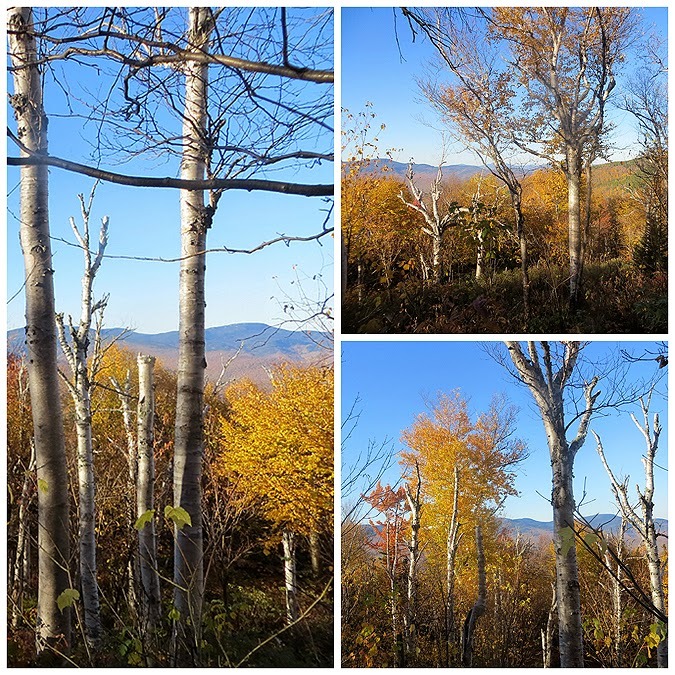 From here the trail drops down and travels through huge open Birch glades. 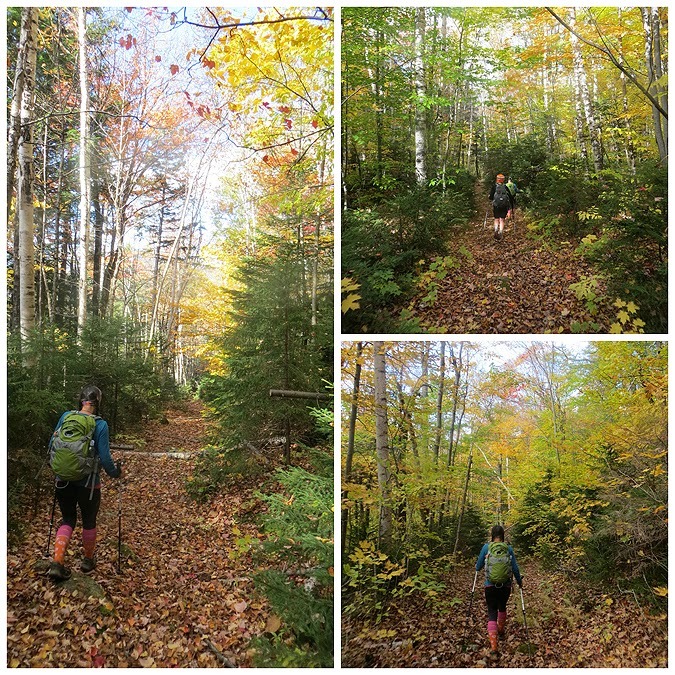 The trail was narrow and overgrown in spots but it was still easy to follow and probably one of the most beautiful stretches of trail in the White Mountains. 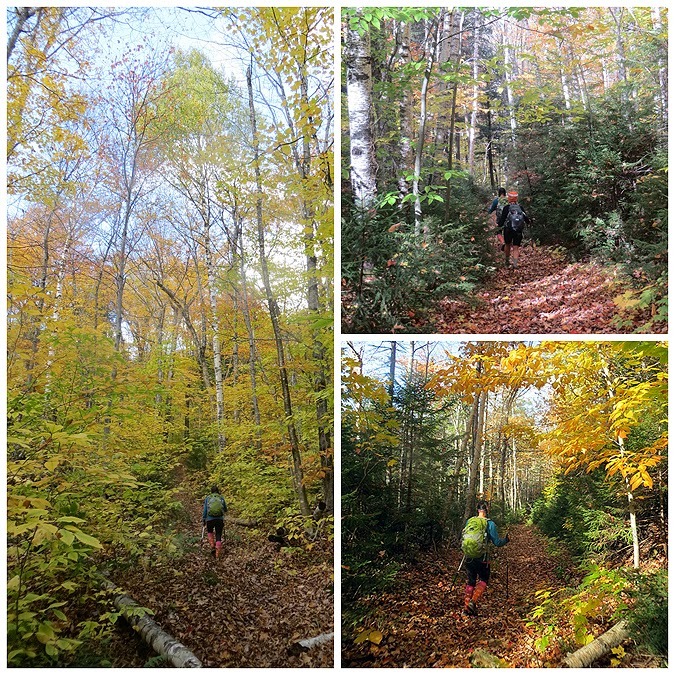 - Unfortunately, the next part is three miles on the Wild River Trail which cuts through Perkins Notch and then parallels the Wild River. 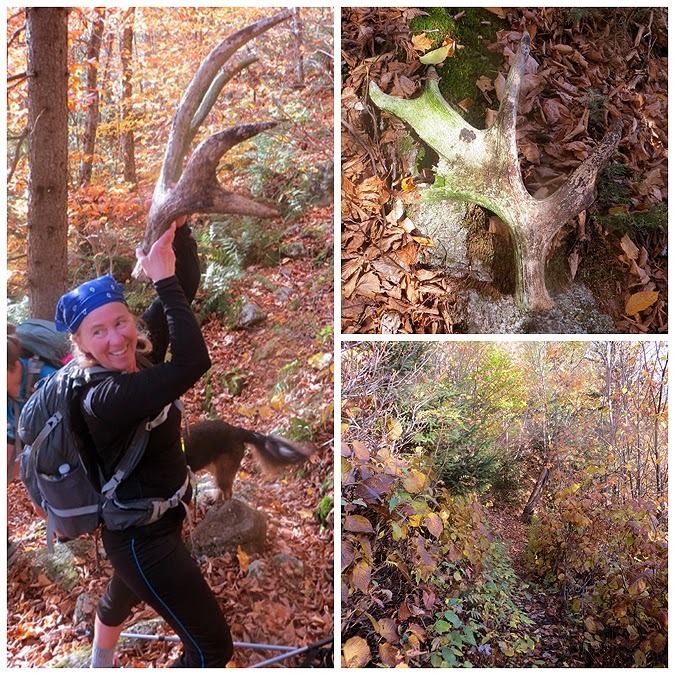 It's not the prettiest of trails and is really muddy and narrow with rotted bog bridges. 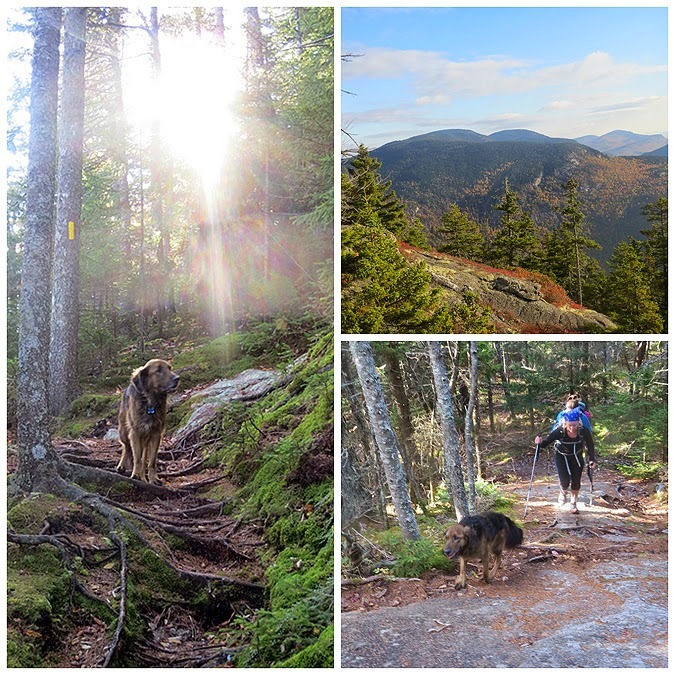 Luckily, it was a quick three miles of mostly flat trail to the junction with the Eagle Link Trail, which is an easy and beautiful climb up to Meader Ridge, located just north of the Baldfaces. 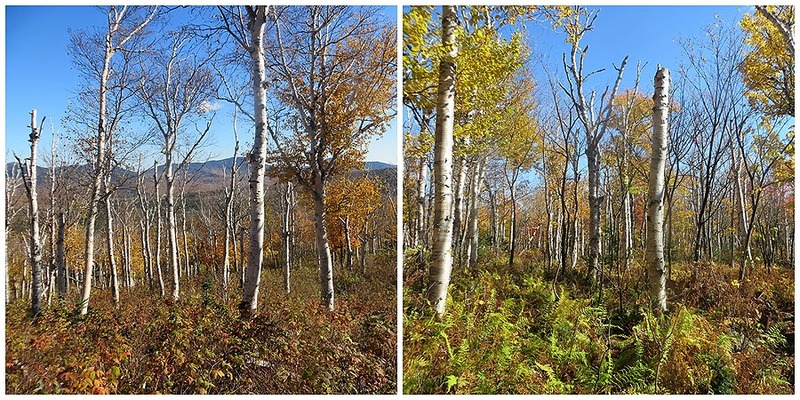 The Eagle Link Trail passes through a side hill Birch glade with some of the oldest and biggest Birch trees around. 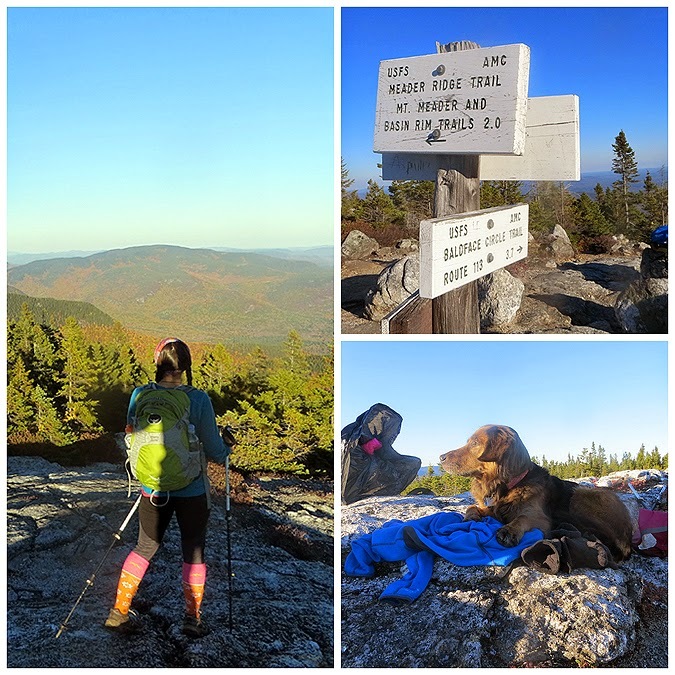 - Once gaining the ridge we took in the great views to the south of the Baldfaces and to the west over to the Carter-Moriah Range. 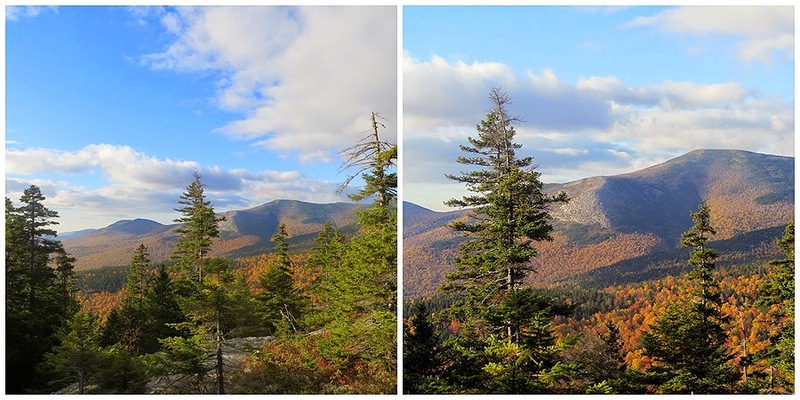 From here we hiked the Meader Ridge Trail and then descended the Meader Trail back to our cars. The sun set on us with about a mile and a half to go along the old logging roads so it was a pleasant walk out to the cars under a beautiful cloudless night with thousand of stars shining bright in the cool autumn night! Up next, the not so exciting Wild River Trail!